With these last leaks we can say that the Windows Phone 7 handset armada has more or less shaped up. We had the LG and Samsung leaks, the Dell Lightning, and the HTC handsets. 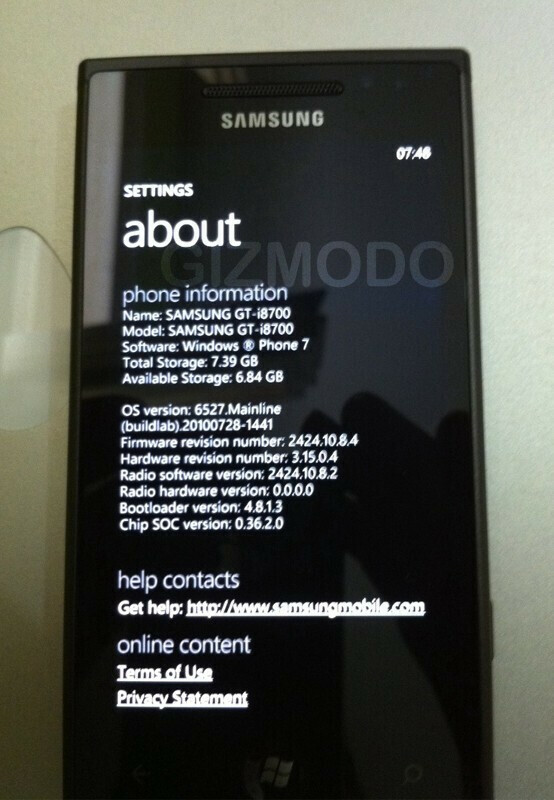 Now another Samsung phone with WP7 emerges, as well as a video of a Microsoft developer showcasing WP7 on a device that seems to be the Asus leak from the beginning of August. 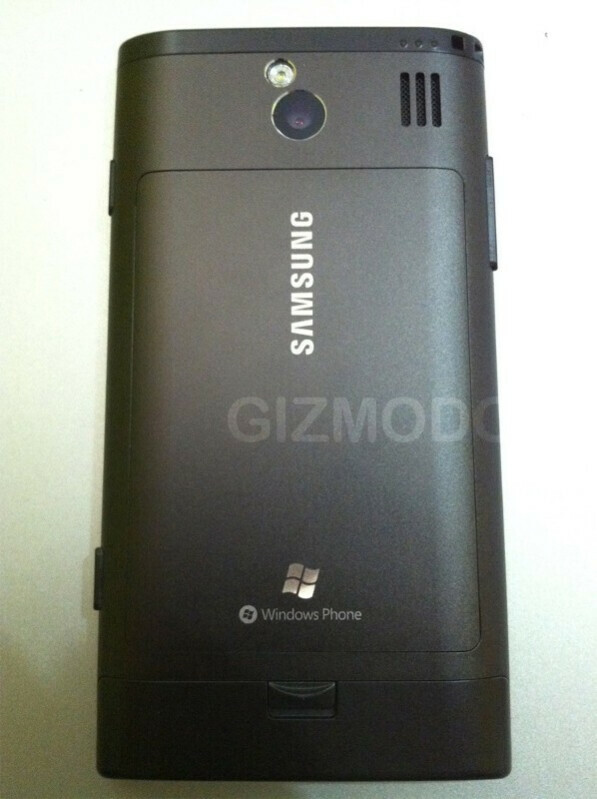 Samsung's new Windows Phone 7 leak is for the GT-i8700, which looks much more refined than the plasticky Cetus. The only thing that can be concluded from the pictures is that it has 8GB of built-in storage, as well as a camera with LED flash on the back. The screen looks fairly large, probably in the 4" vicinity, and, we must say that we like what we are seeing in terms of design. The battery door on the back looks to have the same opening mechanism as the one found on the Samsung Wave to us, which is made of brushed aluminum, so in the Samsung GT-i8700 we will maybe see metal casing too. Samsung said that it is not putting its Windows Phone 7 devices on the backburner, and if this handset makes it to stores, this might as well turn true. Another WP7 device popped up on video, the one that is seemingly made by Asus, and it looks similar to an early prototype of a Windows Phone 7 device, the renders of which were used to visualize the Metro UI concept. The early prototype from LG will make it to stores, so Asus might as well follow suit. Now it is flaunted in the flesh by someone who speaks like a WP7 developer, so there are twelve minutes of very interesting tidbits on the Microsoft's new mobile OS conception and development. Nothing major we don't know, but it is definitely worth seeing, be it only for the internal Marketplace review, and the slick looking hardware of the Asus device. The back look like Wave isnt it?